The conditional approval of a new 10-storey tower right next to the beloved art piece means views of the cross will be lost. 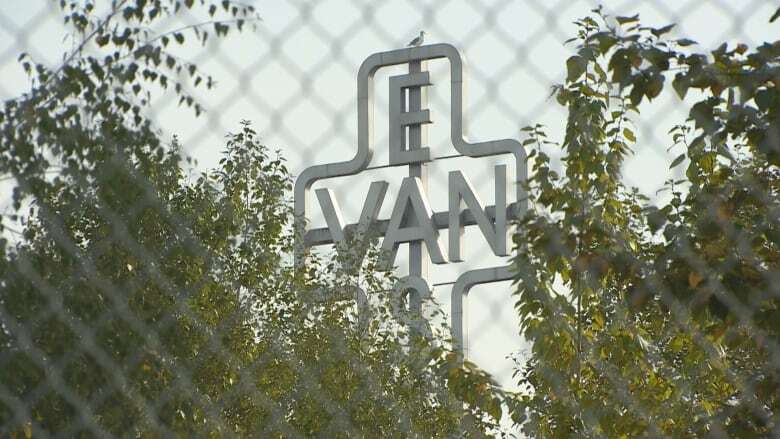 The Monument for East Vancouver — commonly referred to as the East Van Cross — may be on the move after the city conditionally approved construction of a 10-storey building on the site adjacent to the public art piece. Documents show the new office tower at 2102 Keith Dr. would sit right against the western flank of the Ken Lum artwork, which was created in 2010 as an homage to East Van graffiti. 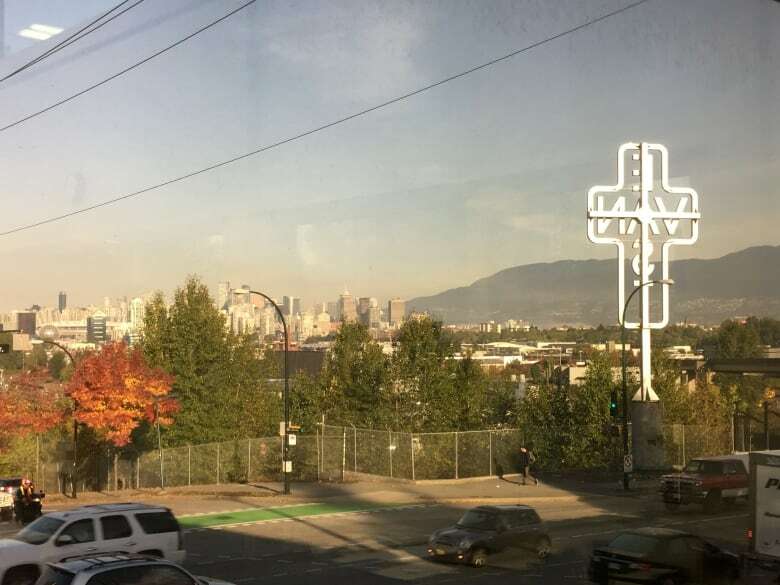 In the permit application, city staff say the building will obstruct the view of the cross from some angles, although views would be maintained from some key vantage points, including from SkyTrain. "Public art planners are currently assessing relocation opportunities for the art piece," says the application. Concerns were first raised by Lum and East Vancouver residents in October, when the City of Vancouver said it was considering the development. Residents said they worried the project would overshadow the art piece, which has become a fixture in the neighbourhood, while Lum argued public art should be protected. In a statement, Eric Fredericksen, the city's public art program manager, said the city is "in the very early stages of assessing possible new sites." Fredericksen said a decision about whether the piece will be moved will come in the next few months and that if it is moved, the public would be informed beforehand. Fredericksen acknowledged the significance of the piece, writing it has "become an iconic piece of artwork and part of the fabric of the city, especially for those living on the east side." "While the proposed office development at 2102 Keith Dr. will redefine the immediate surroundings of the Monument, the city and the artist were aware that this land would be developed at the time the work was sited." Lum said he was approached in 2016 by a developer, seeking his blessing to move the piece or place it on top of an office tower. Fredericksen said in his statement that city public art staff have been meeting with the project's developer for over a year, "advising on sight lines and other considerations." "While the architects have been working conscientiously to ensure some key sight lines are retained, the current building design is largely driven by site constraints (including various rights of way), which has lessened the impact on the views of the piece," he wrote. The new building will house the head office for Nature's Path, an organic food company, and would accommodate 1,200 employees. According to B.C. Assessment records, the land sold in 2016 for $17.5 million.